Hi there! My name is Joao Figueiredo. I’ve helped more than 250 students in Portugal, Dubai and the UK. From beginners to professionals, I’ve guided drummers from all kinds of backgrounds, age and with different goals! As a performer I did hundreds of shows but soon I understood that teaching was my life and passion. Still, I’ve performed and recorded with many bands and artists, exploring different genres of music such as jazz, funk, pop, classical, metal, and so on. I am also a clinician and have done dozens of workshops, masterclasses and drum camps for drummers and musicians in general in music schools, high schools, colleges and other respected venues in Portugal. Diploma in Sound Engineering and studied with Nelson Sobral, Hugo Danin and Michael Lauren - founder of the Drummers Collective in New York City, USA. I started playing actively when I was 16 years with some covers projects but quickly stepped into composing and working on original bands. During the year of 2005 I traveled in order to better understand eastern music. Having been trained by several musicians from India and Japan, the biggest influence was the famous tablas player (who lives in Puttaparthi, Bangalore, India) Ashish Shrivastava. In Portugal I had private lessons with Nélson Sobral (MTV Award Winner with Boss AC), Hugo Danin (founder of the first Drum Academy in Portugal) and the great world reference in teaching drums, Michael Lauren (co-founder of The Collective in New York City and the founder of the International Drums Academy). As a performer I did hundreds of shows and have played with dozens of bands and artists. In 2011 I did more than 60 live performances and recorded two albums with Soapbox and B#&C. I’ve played with several bands in major music festivals in Portugal such as "Gaia em Peso" 2009 and 2010, "Festa do Avante" in 2008 and 2011. Played and recorded several original compositions by Miguel Dinis with the Orchestra of the Conservatory of Santarém. Participated as well as a guest musician on several shows organized by the Institute Piaget (Almada – Lisbon). During 2012/2013 I did several shows at the biggest venue in the world – The Dubai Mall and at the Dubai Marina Mall – either in trio and solo performances. In 2014 I've moved to London and immediately started to teach drums at Melody Create and doing session work for bands and studios - The Premises Studios, The Joint, BonaFide Studios just to name a few. In my book "Modern Concepts of Drumming - a mental and physical approach for the modern drummer" - yet to be published – I discuss topics like how to develop groove, technique, efficient practice methods, odd time meters, compound rythms, rudiments and most importantly, how to be mentally prepared to be a professional drummer in the fastest and more challenging markets in the world. Further pricing details: Like my facebook page to know more about discounts and gifts for new drum students! "Passing by to give you my testimony of having classes with João Figueiredo!He's the most hard working and committed guy I know, and so, the best teacher I had too! In our classes he always teached and explained well, and always with balance between boring and interactive classes eheh! 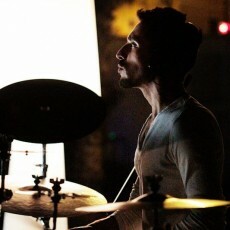 I've learned a LOT with this guy, not only exclusively about drums, but about music and even about lifestyle in general. Listen to his experiences too, I already had so many problems in my drumming and in my starting career that I only could solve because his advices and experiences! You are in good hands now, enjoy it!" "Hey everybody. I'm here just to say thanks to João Figueiredo for all the hours that we passed together. Great teacher and great friend! I've been in love with drums for a long time, but your passion, commitment and kindness behind your kit showed me how to enjoy my hobby. My class was at 9am on Fridays, before I went to work, and for sure the best morning of my week. I know that with your skills, musicality and your hunger for knowledge you will go far. Thank you again, my friend. Best wishes." 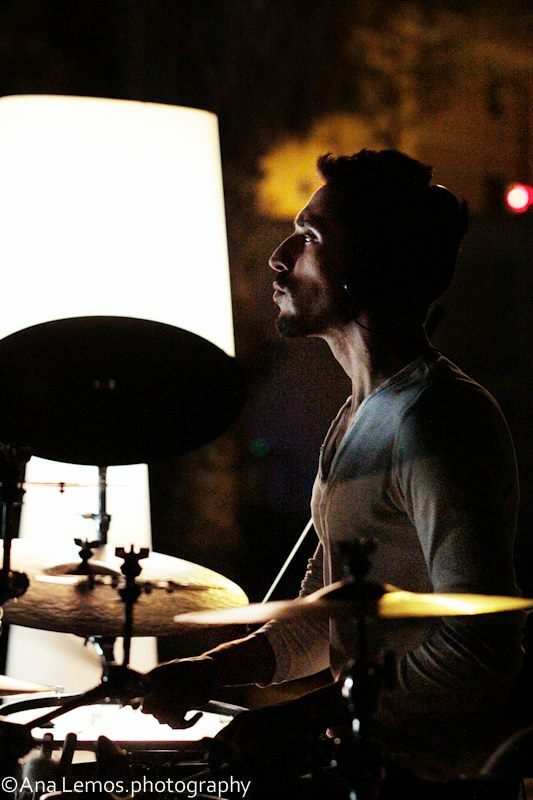 "Joao is an excellent teacher and an amazing drummer. Highly recommended :-) !" * PAY NOTHING NOW * Payments for drum lessons are made directly to João Figueiredo. TRAVEL EXPENSES: If you choose for the Tutor to travel to the Student's location, the Student agrees to pay the Tutor's travel expenses. Estimated £6. 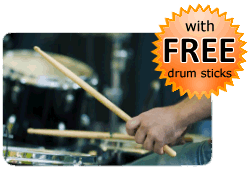 You do not pay in advance to book a drum lesson with João Figueiredo via this website. The Booking Request Form on this page enables João Figueiredo to get in contact with you to confirm a day and time for the drum lesson.